To be a chef is a dirty job, though you wouldn't know this by the way Lisa Dahl of Mariposa, Cucina Rustica, Dahl Ristorante Italiana, and Pisa Lisa carries herself. 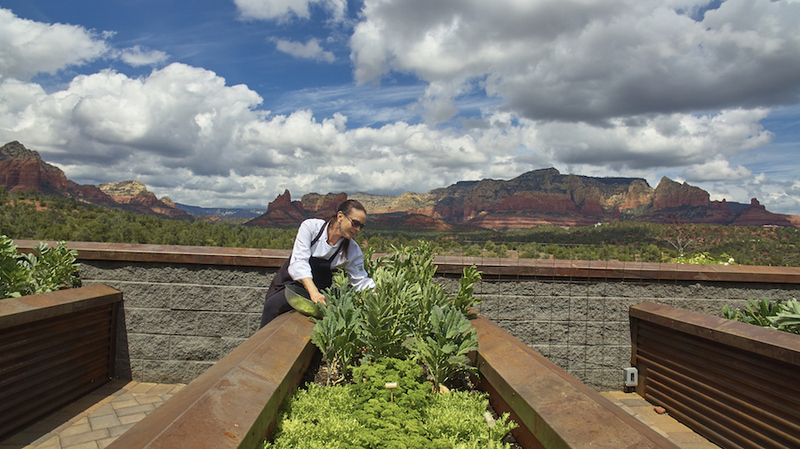 The Sedona, AZ Best Chef has her hands on every aspect of her restaurants — from the decor to the food. Each detail is designed to mesmerize guests as they soak up the dynamic beauty of the Red Rock canyons. Dahl herself embodies the same elegance reflected in her cooking and each one of her dining rooms. You’re either turning people on with your restaurants, or you’re not; and in this industry, there isn’t much leeway to turn people off, or you may lose a customer for good. Every part of the puzzle has to be there in a seamless presentation: the lighting, the plating, the service, the drink program, food temperatures, flavor profiles, music, and more. Dahl is the master strategist behind all this at all four of her restaurants. She has a gift for creating sophisticated concepts that delight the senses. Why have someone else do something that you can do yourself? Dahl has always been one to follow her creative visions. The small city of Sedona, built on the sandstones, didn’t have much going for it in the way of fine dining before Dahl arrived and did her part to stimulate a culinary renaissance. There are 15,000 locals who live in Sedona and 4 million tourists who visit each year. These tourists are hungry, and Dahl has built multiple outlets where they can wine and dine. Dahl & DiLuca was the first. It's now known as Dahl Ristorante Italiana— and she considers it the most successful. She says that 21 years after opening, it's still her most consistent restaurant, and yet, she has to keep things fresh. That's why she changed the name. 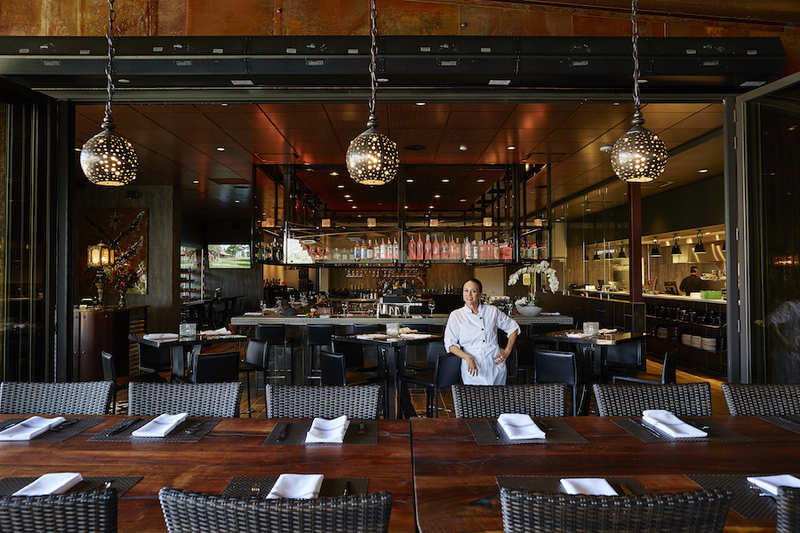 People need to look at each one of her restaurants like it’s brand new, every time they walk in — whether that’s a local who visits once a month or a tourist returning to Sedona after spending years away. Pisa Lisa is her pizzeria that serves woodfire pies with a signature sweet and spicy marinara sauce, tapas, hand tossed salads, paninis, and gelato. Italian food has a special place in Dahl's heart. The kitchen at Cucina Rustica pumps out rustic Tuscan cuisine. It’s open for dinner only. There, guests indulge in antipasti, more gourmet salads, fresh made pastas, meat on the grill, and Dahl’s rendition of classic dishes like veal piccata, farro risotto, and chicken parmigiana. Mariposa is the odd restaurant out as far as style of cooking, though the interior echos Dahl's fine eye for detail that is evident at every one of her eateries. Mariposa is a Latin restaurant that features an unparalleled, panoramic view of the Arizona mesas. People head to the dining room for a power lunch of yuca fries and a green goddess salad with organic kale. For dinner, Mariposa offers gourmet flatbreads with toppings like grilled Spanish octopus and charred artichokes, 22 oz. rib eyes and other cuts of meat accented with chimichurri and truffle butter, and about a dozen decadent sides — ranging from au gratin to a quinoa pilaf with currants. Dahl began her love affair with food as a teen. She had a space in a health food store where she sold avocado sandwiches. She cooked at a Greek restaurant, where she learned how to make dolmas, babaganoush, and hummus. She was a vegetarian growing up and says vegetarian dishes are some of her most popular menu items. 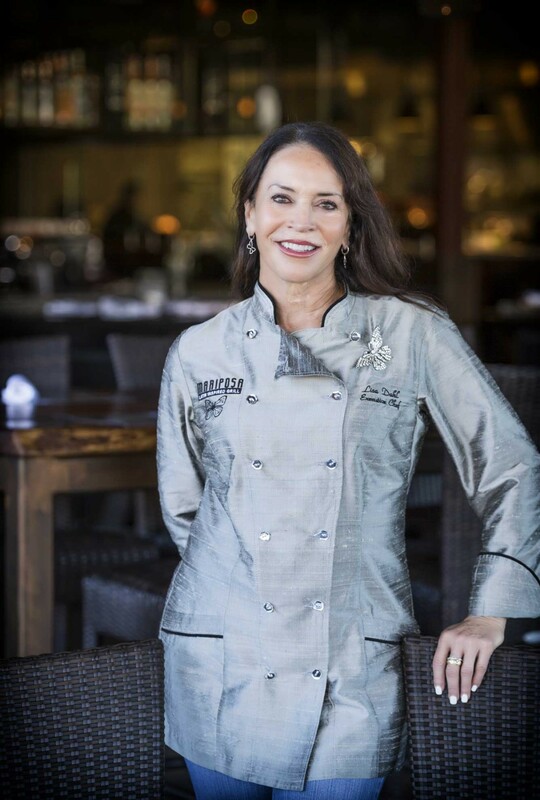 She makes sure to make her food with organic, health conscious ingredients, which is perfect for Sedona. Sedona is a hub for wellness seekers and health food. Dahl says that striking out on her own has been imperative in her ability to spread her wings, especially as a female chef and restaurant owner. “The minority of women in the kitchen has always motivated me,” she says. "It’s motivated me to be the best." Writing her cookbook, The Elixir of Life, is another accomplishment that the Best Chef says gave her an identity. After it was published, people wanted to meet her and work with her, and this success inspired her to keep opening new places. Dahl is in her element in Sedona, a place where she moved to heal personally after the death of her son. She says she didn’t come here to start her many enterprises. It was something that happened, as people embraced and were embraced by her cooking and concepts.